We recently published the Nokia 6680 review and today we present a short review of the Nokia 6681. Since the differences are insignificant, the material will be minimum and consist of a comparison of the two models. Nokia announced the Nokia 6680 series models in February this year at 3GSM Congress and at the same time the company announced two more models - they are Nokia 6681/Nokia 6682. 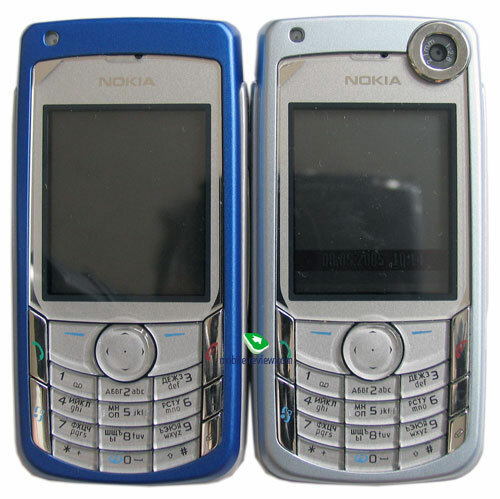 The Nokia 6681 and 6682 distinguish in the low frequency- that is GSM 900 and GSM 850 (for the North-American market) correspondingly and that is the only difference. The main thing that differs inthe Nokia 6681 from the Nokia 6680 is the absence of 3G support (only GSM, no WCDMA). The heart of the both models is a Texas Instruments OMAP1710 220 MHz processor. That is not a system-on-chip solution; there is a separately integrated radio chipset (of the second, the third generation or CDMA 2000 1X by the manufacturing company wish). Under such conditions Nokia managed to produce three versions of one model with different radio chipsets with no extra effort for development. Since the processor is the same (it turned to be, the core version remained the same - Symbian OS 8.0a), the productivity didn't change as compared to the Nokia 6680, just have a look at the SPMark04 test result table (like for the Nokia 6680 the 3D test doesn't work in the package). The Nokia 6681 is always a bit in advance; the gap is 5-10 percent. The same result of the Java productivity test (Java Benchmark package). The Nokia 6681 is a bit ahead again. A possible explanation is a later software version. The phone productivity shouldn't mean much when buying a device, since you won't see the difference in practice. This performance is enough for working with most of the applications comfortably. Though the Nokia devices loose to the HTC Typhoon (an indirect rival based on Windows Mobile) in operating speed. We expected the reception sensitivity would fall with the change of the UMTS module to GSM/EDGE/GPRS one. Fortunately it didn't happen. Both devices receive the signal perfectly even in poor coverage zones. The necessity of the second camera for video-calls disappears when 3G support is absent (video-calling is a 3G service not predicted for the previous generation). The Nokia 6681 is intended for markets with no 3G networks. 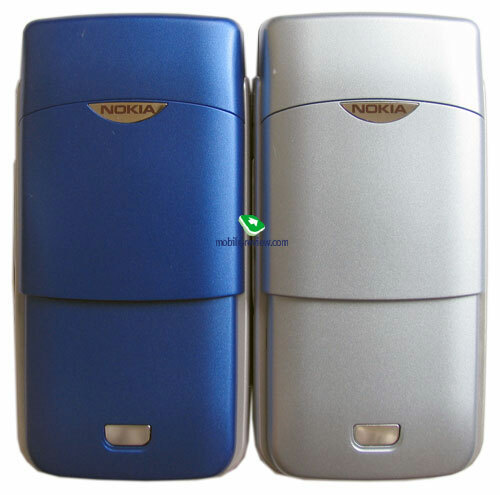 The model is available in three colours - Electric Blue, Pearl White and Light Silver (and the Nokia 6680 shows - Light Bronze and Blue Silver). The design of the models is completely the same; they may be distinguished only by the color and the second camera presence. 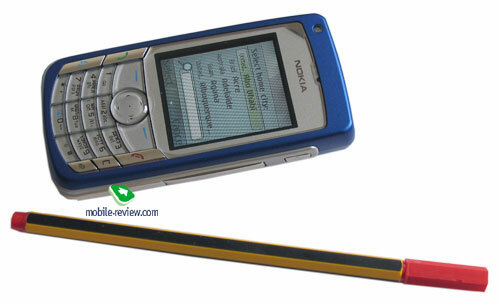 The Nokia 6681 is 2 grams lighter, but its not noticeable. According to the specs the models are equal in size, by personal feelings, the Nokia 6681 is a bit thinner (but so slightly to neglect like the weight). The Nokia 6681 (manufactured a month later) shows much better assembly quality than the Nokia 6680 (no backlash unlike the example of the Nokia 6680 we tested). These are typical first shipment problems solved in the first months of the phone manufacture. Nokia decided on distinguishing the younger model with a reach package. It contains extra USB SD/MMC card reader and a hand strap (one of the ways of carrying the phone). Speaking about the additional software - a Snowboard 3D game was added and no other differences. We have described all the differences between the models. 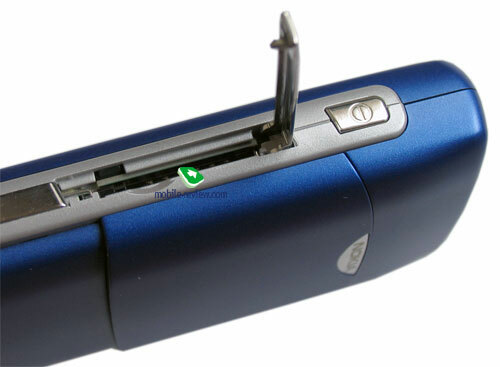 The rest of the devices are alike and thus we advise to read the corresponding review of the Nokia 6680. The wholesale price and the retail price will have a normal gap of about 60-70 USD. The Nokia 6680 has no benefit over the Nokia 6681 except for the 3G and corresponding services and may be one will like the presence of the second camera (its profit is close to the zero in the absence of 3G and the presence of quality main camera). The launch of the 3G networks is not planned in Russia in future. Under these conditions buying the Nokia 6680 doesn't seem well taken and is better to get the cheaper Nokia 6681 then.